The 15th and 20th year are the most celebrated wedding anniversaries during this time, effectively every 5th year is seen as a major milestone in a marriage. Did you know legally a marriage is considered a long marriage after seven years? The traditional eleventh wedding anniversary has a theme of Steel. The modern eleventh wedding anniversary gift has a theme of Fashion Jewelry. The appropriate gemstone for the eleventh wedding anniversary has a theme of Turquoise; an alternative gemstone for the eleventh wedding anniversary can be themed with Hematite. The appropriate flowers for the eleventh wedding anniversary are Morning Glories. The traditional twelfth wedding anniversary gift has a theme of Linen; an alternative traditional twelfth wedding anniversary gift can be themed with Silk. The modern twelfth wedding anniversary gift has a theme of Colour Gems; an alternative modern twelfth wedding anniversary gift can be themed with Pearls. The appropriate gemstone for the twelfth wedding anniversary has a theme of Agate. The appropriate flowers for the twelfth wedding anniversary are Peonies. The traditional thirteenth wedding anniversary gift has a theme of Lace. The modern thirteenth wedding anniversary gift has a theme of Textiles; an alternative modern thirteenth wedding anniversary gift can be themed with Furs. The appropriate gemstone for the thirteenth wedding anniversary has a theme of Malachite; an alternative gemstone for the thirteenth wedding anniversary can be themed with Citrine; another alternative gemstone 13th wedding anniversary can be themed with Moonstone. The appropriate flowers for the thirteenth wedding anniversary are Hollyhock. The traditional fourteenth wedding anniversary has a theme of Ivory. The modern fourteenth wedding anniversary gift has a theme of Gold Jewelry. The appropriate gemstone for the fourteenth wedding anniversary has a theme of Jewelry; an alternative gemstone for the fourteenth wedding anniversary gift can be themed with Moss Agate. The appropriate flowers for the fourteenth wedding anniversary are Dahlia. The traditional fifteenth wedding anniversary has a theme of Crystal. The modern fifteenth wedding anniversary gift has a theme of Watches. The appropriate flowers for the fifteenth wedding anniversary are Roses. After the fifteenth Wedding Anniversary the traditional anniversary gift list only provides a theme for every fifth year up until the 50th and then the Diamond Anniversary being the Seventy-fifth year. The modern sixteenth wedding anniversary gift has a theme of Silver Hollowware.The appropriate gemstone for the sixteenth wedding anniversary has a theme of Peridot; an alternative gemstone for the sixteenth wedding anniversary gift can be themed with Aquamarine. The modern seventeenth wedding anniversary gift has a theme of Furniture. The appropriate gemstone for the seventeenth wedding anniversary has a theme of Amethyst; an alternative gemstone for the seventeenth wedding anniversary can be themed with Citrine. The modern eighteenth wedding anniversary gift has a theme of Porcelain. The appropriate gemstone for the eighteenth wedding anniversary has a theme of Opal. The modern nineteenth wedding anniversary has a theme of Bronze. The appropriate gemstone for the nineteenth wedding anniversary has a theme of Aquamarine; an alternative gemstone for the nineteenth wedding anniversary can be themed with Topaz. The traditional twentieth wedding anniversary gift has a theme of China. The modern twentieth wedding anniversary gift has a theme of Bone China; an alternative modern twentieth wedding anniversary gift can be themed with Platinum. The appropriate flowers for the twentieth wedding anniversary are Day Lily. 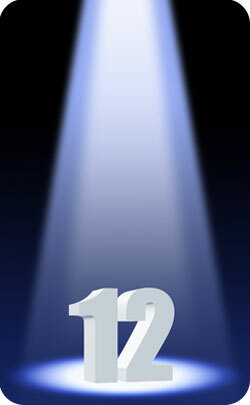 Welcome to Anniversary Ideas, your number one resource for celebrating any wedding anniversary. We help guide you through the questions that need answering in order to have the best anniversary possible. What is the traditional material for your anniversary? What is the best way to celebrate your anniversary year? What anniversary gift may I get my wife/husband? Questions all answered by us. Once you have a good idea of the type of anniversary gifts you can purchase, we will show you the best gifts available on or off line for the anniversary theme you require. Then let us help you. we’ve been doing this for many years ever since our first web site which was the pioneer for wedding anniversary resources on the world wide web. We’ve done a lot of the work for you by searching the internet to bring together some of the best and most unique anniversary gift ideas around. Now these are just not general gifts they are specific anniversary ideas that match either the traditional or contemporary symbol for the Wedding Anniversary you are celebrating. Wedding Anniversaries : Find out what material is traditionally associated with each year. Anniversary Etiquette : Holding an Anniversary Party? we answer the popular questions on etiquette; how to celebrate, why celebrate, gift giving and other commonly asked questions. All Wedding Anniversary details If you are celebrating a year that is not in the traditional list then this page gives themes and symbols for ever year up to the 50th and then every 5th anniversary up to the 100th! The traditional first wedding anniversary gift has a theme of Paper. The modern first wedding anniversary gift has a theme of Clocks. The gemstone first wedding anniversary gift has a theme of Fresh Water Pearl. The appropriate flowers for the first wedding anniversary are Pansies. The traditional second wedding anniversary gift has a theme of Cotton; an alternative traditional second wedding anniversary gift can be themed with Straw. The modern second wedding anniversary gift has a theme of China. The appropriate gemstone for the second wedding anniversary has a theme of Rose Quartz; an alternative gemstone for the second wedding anniversary can be themed with Garnet. The appropriate flowers for the second wedding anniversary are Cosmos. The traditional third wedding anniversary has a theme of Leather. The modern third wedding anniversary gift has a theme of Crystal; an alternative modern third wedding anniversary gift can be themed with Glass. The appropriate gemstone for the third wedding anniversary has a theme of Crystal. The flowers for the third wedding anniversary are Fushsia. The traditional fourth wedding anniversary gift has a theme of Fruit & Flowers; an alternative traditional fourth wedding anniversary gift can be themed with Books. The modern fourth wedding anniversary gift has a theme of Electrical Appliance. The gemstone fourth wedding anniversary gift has a theme of Amethyst; an alternative gemstone fourth wedding anniversary gift can be themed with Topaz. The appropriate flowers for the fourth wedding anniversary are Geranium. The traditional fifth wedding anniversary gift has a theme of Wood. The modern fifth wedding anniversary gift has a theme of Silverware. The gemstone fifth wedding anniversary gift has a theme of Turquoise. The appropriate flowers for the fifth wedding anniversary are Daisies. The traditional sixth wedding anniversary has a theme of Sugar; an alternative traditional sixth wedding anniversary gift can be themed with Iron. The modern sixth wedding anniversary gift has a theme of Wood. The appropriate gemstone for the sixth wedding anniversary has a theme of Amethyst; an alternative gemstone for the 6th wedding anniversary can be themed with Garnet. The appropriate flowers for the sixth wedding anniversary are Calla lilies. The traditional seventh wedding anniversary gift has a theme of Wool; an alternative traditional seventh wedding anniversary gift can be themed with Copper. The modern seventh wedding anniversary gift has a theme of Desk Set. The appropriate gemstone for the seventh wedding anniversary has a theme of Lapis Lazuli; an alternative gemstone for the seventh wedding anniversary can be themed with Onyx. The appropriate flowers for the seventh wedding anniversary are Jack-in-the-pulpit. The traditional eighth wedding anniversary gift has a theme of Bronze; an alternative traditional eighth wedding anniversary gift can be themed with Pottery. 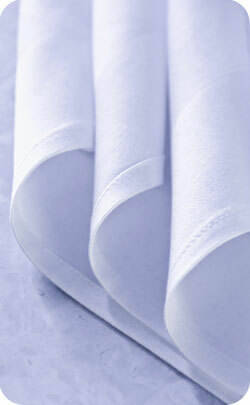 The modern eighth wedding anniversary gift has a theme of Lace; an alternative modern eighth wedding anniversary gift can be themed with Linen. The appropriate gemstone for the eighth wedding anniversary has a theme of Aventurine; an alternative gemstone for the eighth wedding anniversary can be themed with Multi-coloured Tourmaline. The appropriate flowers for the eighth wedding anniversary are Clematis. The traditional ninth wedding anniversary has a theme of Pottery. ; an alternative traditional ninth wedding anniversary gift can be themed with Willow. The modern ninth wedding anniversary gift has a theme of Leather. The appropriate gemstone for the ninth wedding anniversary has a theme of Tiger Eye; an alternative gemstone for the ninth wedding anniversary can be themed with Lapis Lazuli.The appropriate flowers for the ninth wedding anniversary are Poppies. The traditional tenth wedding anniversary gift has a theme of Tin; an alternative traditional tenth wedding anniversary gift can be themed with Aluminum. The modern tenth wedding anniversary gift has a theme of Diamond Jewellery. The appropriate gemstone for the tenth wedding anniversary has a theme of Black Onyx. The appropriate flowers for the tenth wedding anniversary are Daffodils. The traditional eleventh wedding anniversary has a theme of Steel. The modern eleventh wedding anniversary gift has a theme of Fashion Jewellery. The appropriate gemstone for the eleventh wedding anniversary has a theme of Turquoise; an alternative gemstone for the eleventh wedding anniversary can be themed with Hematite. The appropriate flowers for the eleventh wedding anniversary are Morning Glories. The traditional fourteenth wedding anniversary has a theme of Ivory. The modern fourteenth wedding anniversary gift has a theme of Gold Jewellery. The appropriate gemstone for the fourteenth wedding anniversary has a theme of Jewellery; an alternative gemstone for the fourteenth wedding anniversary gift can be themed with Moss Agate. The appropriate flowers for the fourteenth wedding anniversary are Dahlia. The modern twenty-first wedding anniversary has a theme of Nickel; an alternative modern twenty-first wedding anniversary gift can be themed with Brass. The appropriate gemstone for the twenty-first wedding anniversary has a theme of Iolite. The modern twenty-second wedding anniversary has a theme of Copper. The appropriate gemstone for the twenty-second wedding anniversary has a theme of Spinel (all Colours). The modern twenty-third wedding anniversary gift has a theme of Silver plate. The appropriate gemstone for the twenty-third wedding anniversary has a theme of Imperial Topaz. The modern twenty-fourth wedding anniversary gift has a theme of Musical Instruments. The appropriate gemstone for the twenty-fourth wedding anniversary has a theme of Tanzanite. The traditional twenty fifth wedding anniversary has a theme of Silver. The modern twenty fifth wedding anniversary gift has a theme of Silver. The appropriate gemstone for the twenty fifth wedding anniversary has a theme of Sterling Silver. The appropriate flowers for the twenty fifth wedding anniversary are Iris or is Iri the correct plural. The twenty-sixth wedding anniversary gift has a theme of Original Pictures. The twenty-seventh wedding anniversary gift has a theme of Sculpture. The twenty-eighth wedding anniversary gift has a theme of Orchids. The twenty-ninth wedding anniversary gift has a theme of Furniture. The traditional thirtieth wedding anniversary gift has a theme of Pearls. The modern thirtieth wedding anniversary gift has a theme of Diamond Jewellery. The appropriate flowers for the thirtieth wedding anniversary are Sweet pea. The thirty-first wedding anniversary gift has a theme of Timepieces. The thirty-second wedding anniversary gift has a theme of Conveyances. The thirty-third wedding anniversary gift has a theme of Amethyst. The thirty-fourth wedding anniversary gift has a theme of Opal. The traditional thirty-fifth wedding anniversary gift has a theme of Coral. The modern thirty-fifth wedding anniversary gift has a theme of Jade. The thirty-sixth wedding anniversary gift has a theme of Bone China. The thirty-seventh wedding anniversary gift has a theme of Alabaster. The thirty-eighth wedding anniversary gift has a theme of Beryl. The thirty-ninth wedding anniversary gift has a theme of Lace. The traditional fortieth wedding anniversary gift has a theme of Ruby. The modern fortieth wedding anniversary gift has a theme of Ruby. The gemstone fortieth wedding anniversary gift has a theme of Ruby. The appropriate flowers for the fortieth wedding anniversary are Nasturtium. After the fiftieth wedding anniversary most of the anniversary gift lists move to only nominating a theme ever five years. The 15th Wedding Anniversary along with the 20th year are the most celebrated wedding anniversaries during this time, effectively every 5th year is seen as a major milestone in a marriage. Did you know legally a marriage is considered a long marriage after seven years? Twelve years is a long time and choosing a 12th year wedding anniversary gift might seem a little tricky at first, but using your imagination and the traditional, or modern, themes that are connected to the 12th year anniversary you can really make it special. The traditional theme for the 12th wedding anniversary is linen or silk, whereas its modern equivalent are pearls or coloured gems. The flowers that are connected to the anniversary are peonies, while the gemstones include jade and agate, which are both equally stunning but very different to look at. The traditional theme of the 12th year wedding anniversary means you could have buy clothing, items for the home or bedroom. 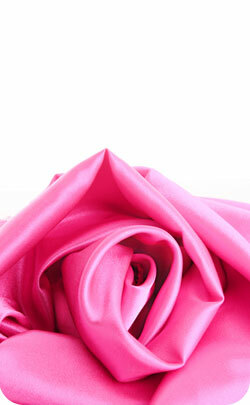 Silk items are romantic and sensual and make the perfect gift for those celebrating their 12th year wedding anniversary. They are classy and give that luxurious feel to any situation. The more modern theme of the milestone year is pearls. There are a great range of styles, colours, presentations and choices to have when it comes to pearl gifts, and make the perfect jewellery gift for your loved one. 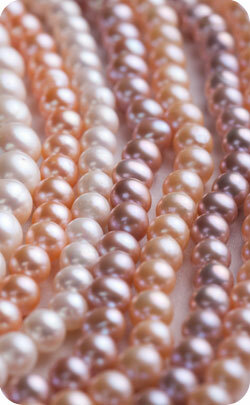 The four different pearls include Tahitian, South Sea, Akoya or Freshwater, the latter being available in a range of colours, while Akoya is pink or white, South Sea are yellow and the Tahitian pearls are black. The 12th anniversary is connected by the peony flower, which is used just as much for its medicinal properties as well as its glorious looks. 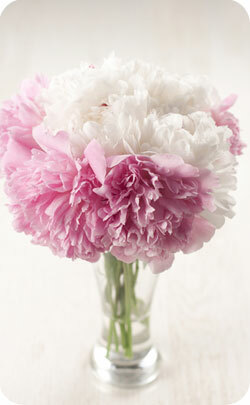 The flower encapsulates splendour, romance, beauty and history, and is the perfect choice for your special day. The 12th wedding anniversary gift could be a mix of modern or traditional themes, as well as incorporating the appropriate gemstones of agate and jade, and including some pretty peonies to finish it off. The flowers are classy display of your love for one another and can have a special meaning to both of you on this momentous day. The gemstones could be bought as part of the 12th wedding anniversary gift in the form of jewellery, and jade is a stunning gem. It’s an ornamental store that varies in different shades of green depending on the silicate mineral content. If not jewellery, then it could be bought as a centrepiece and you’ll both know exactly what occasion it represents for years to come. 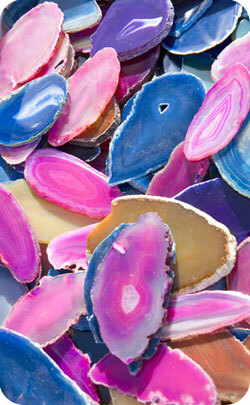 Agate is also a fantastic rock that is used in many different items, such as marble items, brooches or pins. It’s range of colours depend on the rock formation that it was made within and therefore can have wild stripes and looks quite stunning. On the 12th anniversary of your marriage you would have been married for 4,380 days or 105,120 hours or 6,307,200 minutes which is over 378 million seconds! During this time you would have shared, on average, over 32,800 hours of snuggle time (sleeping!) or about 3 years, 9 months; assuming you don’t work together you’ve been apart for over 25,372 hours which is about 2 years, 11 months. You would have by now shared about 9,600 meals together which equates to approximately 7 months, 19 days of continuous eating! Whether it’s pearls, gemstones, peonies, linen or silk, or a mix of all of them, buying a 12th wedding anniversary gift has lots of choice attached to it. There are many different slants you can take on the gift buying, and it’s up to you whether you’d prefer traditional 12th year anniversary gifts, modern or otherwise. Whatever you buy for your 12th year anniversary make sure you include one or more of the themes, gemstones and flowers mentioned.